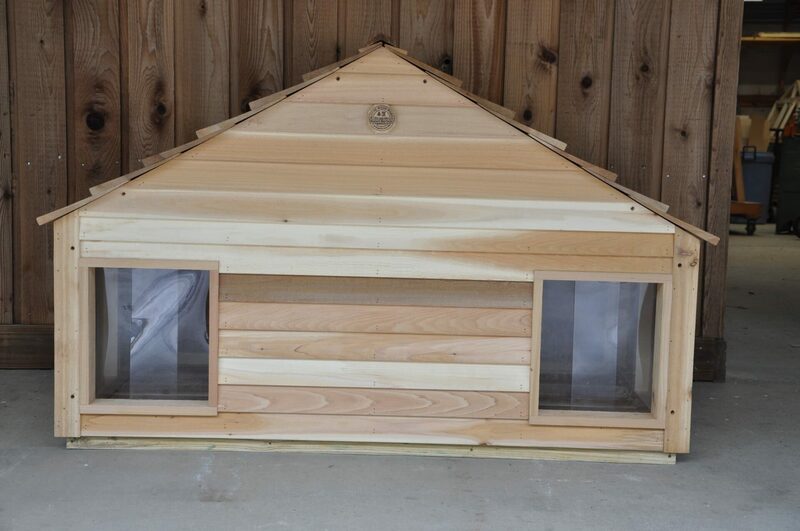 This dog house is a dream come true for dog owners with two smaller dogs. Whether your dogs like to live together or not is no longer a problem; these dog houses have a slide-in and -out center partition for separation if necessary. This house consists of seven predrilled, easy to assemble panels. Each house comes with heavy-duty vinyl flap doors, installed. Also, all of our Duplex dog houses have a roof line that causes the rain to fall to the side of the house, not at the door where your pet would track in mud and water!